In this blog post, I will provide reasons why you should consider mobility in an industrial setting. I will explore ways plants can provide employees with cost-effective, secure, on-demand remote access to critical information resources. But first let’s take a look why would someone would want to do so. Employees in manufacturing work with complex, expensive equipment. They handle multiple responsibilities, deal with more regulations today than ever before, and need the ability to troubleshoot plant equipment or production status, from the office, home or on the road. One of the greatest benefits of remote access: opening a wide portal to the organization’s plant data, is also a significant potential weakness. Providing adequate security of that data, when employees access it from outside the confines of the “normal plant,” is probably the highest concern faced by IT. Using existing smart phones and tablets, manufacturing workers can accelerate decisions by delivering up-to-date plant data and Key Performance Indicators (KPI) to knowledge workers or plant managers. Products must be manufactured at record speed, yet the struggle for competitive pricing has resulted in outsourcing to vendors that may be located across town or around the world — adding a new level of complexity to the quality assurance function. When access to plant applications is available on mobile devices, the speed and accuracy of quality checks can be significantly improved, and quality assurance processes can be standardized. The automated capture of quality data enables manufacturers to achieve “Six Sigma” quality, virtually ensuring that customers receive the right product, manufactured in the right way and facilitating a robust access environment to meet strict regulatory guidelines. A market study company, ARC Advisory Group, reports that “HMI software must be in a position to offer solutions, such as HTML5, for mobile devices as well as the growing acceptance of personal devices being used in business, “bring your own device” (BYOD), which is accelerating the adoption of wireless tools. The adoption rate of these devices is increasing and by the end of the study’s 2017 forecast period may become a default part of an HMI software offering norm”….“Delivering real-time information to the smartphone provides value ranging from plant executives to maintenance technicians. 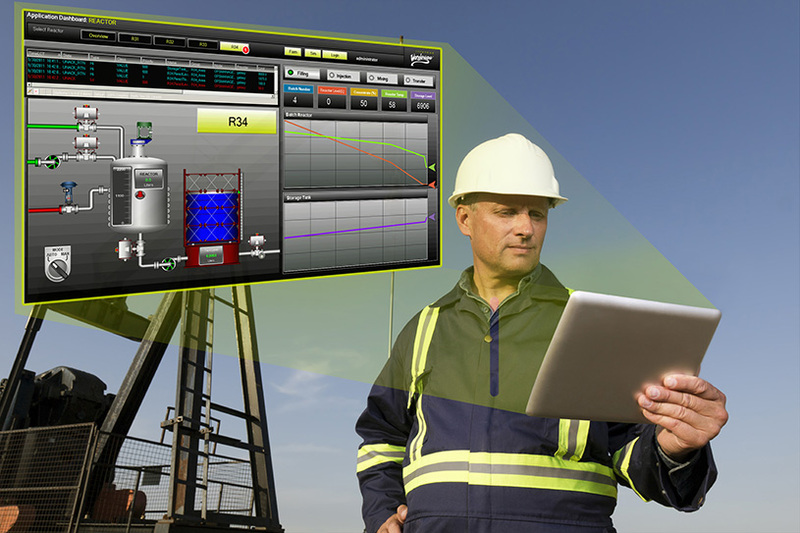 Tablets are replacing some HMI panels in some manufacturing installations, and they will become a common method of operating equipment remotely located. It will be much simpler and less expensive to build, for example, a pump control panel for a remote pump station with a Bluetooth connection, and have an operator walk up and operate it from the tablet versus building a conventional control panel. Some HMI software and services suppliers support devices, such as iPads, through a remote desktop, while others”. The industrial automation market has progressed to the point that there are multiple vendors now that provide mobile access to their applications. Invensys, for example, has 7 different applications that use some factor of mobility. Its newest capability, The InTouch Access Anywhere solution enables users to access plant-floor data via the company’s InTouch HMI, the world’s number one human machine interface. Using any browser from anywhere and at anytime, the InTouch Access Anywhere solution runs entirely and securely inside a web browser, so users can connect to other InTouch Applications from Microsoft Surface, iPads, iPhones and Android devices, Macs and Linux as well as from traditional Windows PCs and laptops. In addition, there is no software to install on the end-user device, so the offering is easy to deploy, manage and maintain. As manufacturing facilities continue to fight for survival and dominance within their respective markets, they must take steps that will maximize their resources. 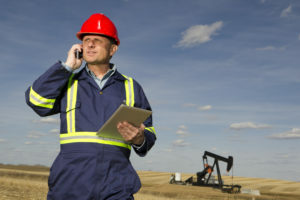 Providing casual users with reliable and secure remote access to plant data is rapidly becoming a vital element in an organization’s success. Mobile technologies for manufacturers come in a variety of formats and functionalities, to match not only your data access needs, but the types of information you need displayed and monitored. HMI in a mobile Browser is the ideal solution for controlling the HMI access via the Wifi or Internet—easily and affordably. 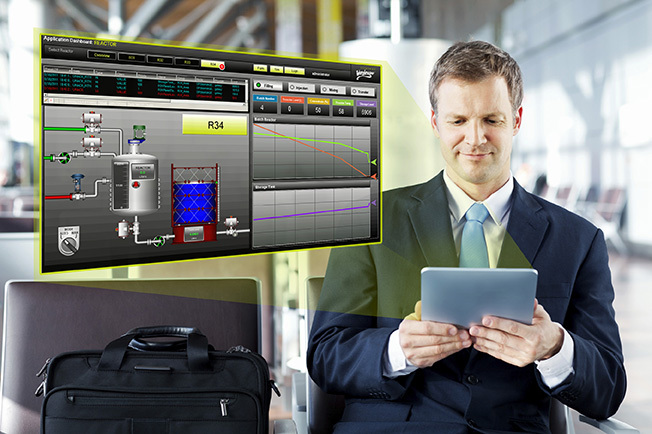 Users, both local and remote, are given seamless and transparent access to their HMI & SCADA data, anytime and anywhere, greatly enhancing productivity. Now it’s your turn. Which of these reasons have you used before? Which of these arguments have you found to be most helpful or successful? Feel free to leave your comments below.